Forgive me, but throughout the process of writing this piece on Antraxx, the new isometric mech arcade shooter you can now sample for free, I haven’t been able to stop thinking about anthrax, the bacterium that causes rather nasty infections. I’m fairly sure this isn’t an association the developer would approve of. Like shooters of the first person variety? Check out the best FPS games on PC here. Nevertheless, it certainly makes Antraxx memorable, regardless or not of the quality of the gameplay, which you can now check out for yourself. Revealed via a developer vlog posted on YouTube, Antraxx has gone into alpha – an alpha you can now be part of. All you need do is head on over the game’s website, sign up, and you’ll receive an email when you’re good to go. Which, as suggested by tweets made by the developer behind it, should be somewhat instantaneous. And why wouldn’t you want to? We don’t know all too much about Antraxx, but the isometric viewpoint is certainly pretty enough, and the developer behind it has a gruff northern English accent, which for anyone playing in the US is surely appealing in its own right. 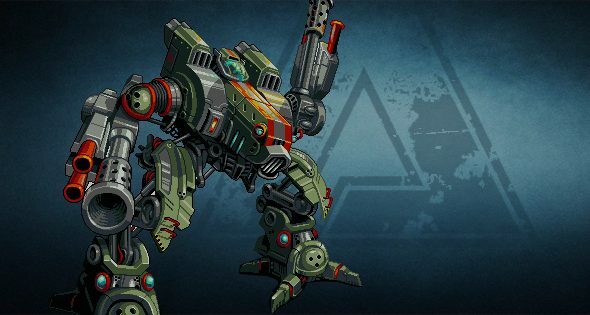 What little we do know is, Antraxx allows you to customise your mechs as well as the multiplayer zones they fight in. There’s also talk of factions to join, allowing players around the world to form alliances with each other. Antraxx is due to launch this October.